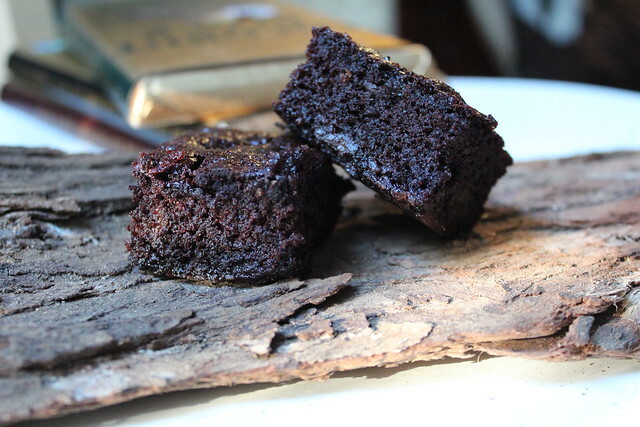 This brownie is very easy and quick to whip up when unexpected visitors arrive and it can be served with coffee or as a dessert. Use one bowl and there is very little to clean up. 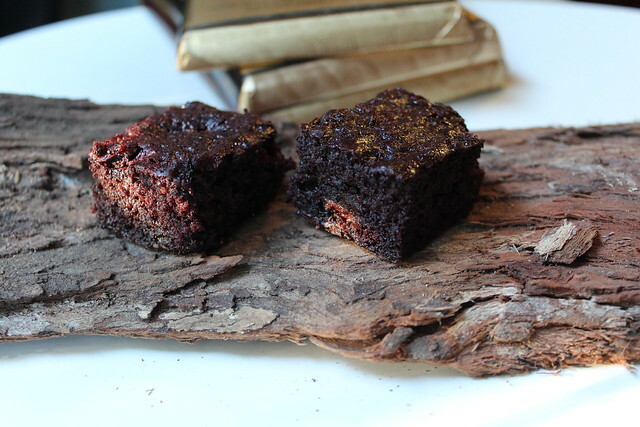 The finished brownie is crunchy around the edges, chewy on top and moist in the middle. If you like chewy more than gooey, leave the brownie in the oven for an extra 3-4 minutes. White sugar will give a crustier top than raw sugar. I usually make this brownie with 72% cocoa dark chocolate to keep it dairy-free however the 33% cocoa with toasted coconut is extremely popular. Any of the nut chocolates work well as does white chocolate. Chocolate with a flavoured toffee shard such as mint or hokey-pokey turn out a delicious but sticky brownie as the toffee shards melt and sink to the bottom. Preheat oven 160ºC and grease and line a 33 cm x 23 cm slice tin. Place eggs, oil, milk and essence into large bowl and whisk until combined. Sift in cocoa powder, flour and baking powder. Add sugar and chocolate. Stir until combined. Pour brownie batter into prepared baking tin. Bake for 40-45 minutes for moist & gooey in the middle chocolate brownie or leave in the oven for a little longer if you like the brownie chewy all the way through. Cut into pieces (between 20 – 24 pieces) and dust with icing sugar to serve. Use the 33% cocoa milk chocolate block with toasted coconut, use coconut milk instead of almond milk. Sprinkle the brownie with ½ cup toasted chocolate chips before placing in the oven. Use 62% or 72% dark chocolate and add 2 teaspoons of gingerbread spice mix when adding the flour. 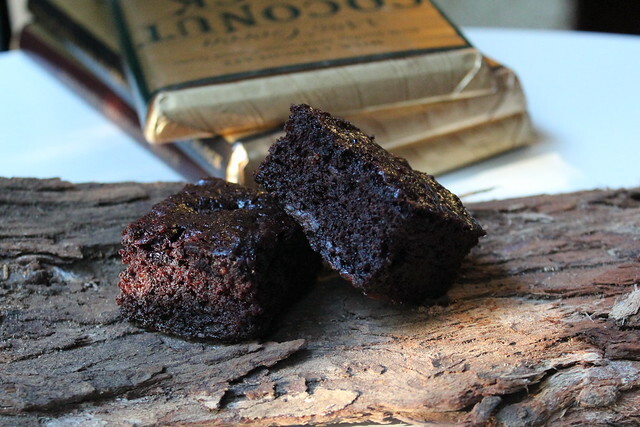 Sprinkle brownie with ½ cup chopped crystallized ginger before placing it in the oven. Combine spices in a small airtight jar.